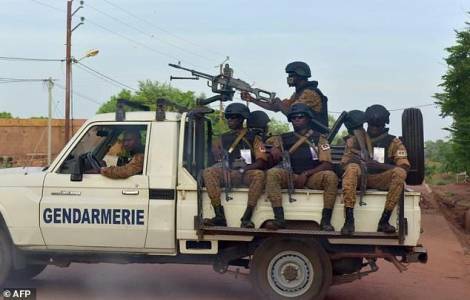 AFRICA/BURKINA FASO - The Bishops: "There is a need for clarity concerning the recent inter-communal clashes"
The disappearance of Fr. Yougbaré: for a missionary "there is an attempt to reduce evangelization activities"
Ouagadougou (Agenzia Fides) - "There is a need for clarity concerning the recent inter-communal clashes in order to ascertain the responsibility and to ensure that justice is done", says a note sent to Agenzia Fides by the Episcopal Conference of Burkina Faso, where in Yirgou (in the diocese of Kaya), in the north of the country, at least 49 people died in inter-communal clashes and several thousand were injured. The clashes exploded on December 31 and continued until January 2, after six people were killed, including the village chief, by some armed assailants, qualified as "terrorists" by the authorities of Ouagadougou. Immediately violence broke out between a self-defense militia of the Koglweogo, belonging to the local community of Mossis, and the Peuls breeders, accused of complicity with the assailants. The self-defense group attacked several Peuls camps killing numerous members of this ethnic group. According to the Bishops, what happened in Yirgou "is unprecedented in the history of Burkina Faso, but it is a sign of a fragile social fabric, despite the legendary tradition of happy coexistence without any distinction among the components of the nation". Beyond the very serious episode of Yirgou, the Bishops are worried about the overall deterioration of the Country's security conditions, which began on January 15, 2016 with the attack on a restaurant frequented by foreigners in the capital Ouagadougou, committed by an Al Qaida commando in the Islamic Maghreb (see Fides 16/1/2016). In their message, the Bishops call for "the preservation of the inalienable human values of fraternity, of understanding, of solidarity, of forgiveness, of peace and of mutual love, so as to maintain social cohesion without which no development is possible".